Hi there, I’m Adi Rotem (AKA Choke). 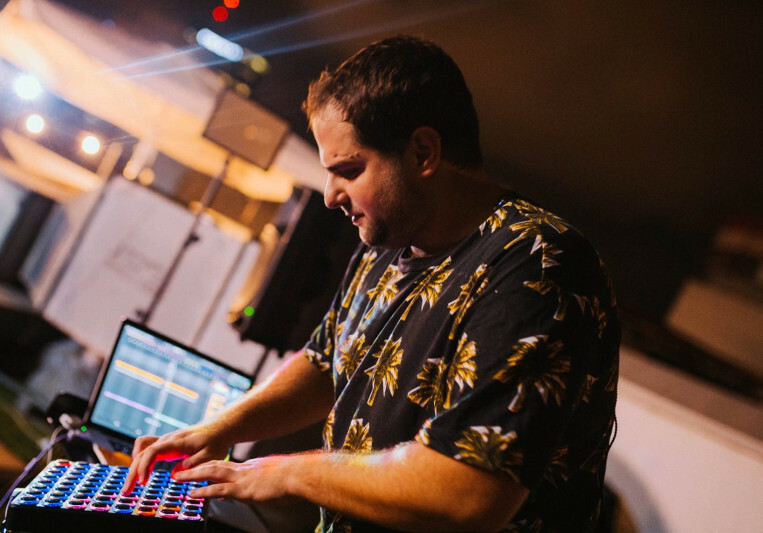 I’m a 27-year-old producer from Tel Aviv. I’ve shaped albums and mixed tracks for some of the leading artists in the country. I've also produced songs for The Four TV show. I've worked with some of the most renowned Israeli singer-songwriters: Mark Eliyahu, Dikla, Keren Peles, Miri Mesika, Sarit Hadad, Nadav Guedj, Kuki Levana & more. I am a proud Dave Smith artist and an official DJ Tech Tools artist. My passion is to push my music to the limits of creation. I specialize in producing and mixing Hip Hop and Pop music. I always come up with original sounds and catchy melodies for the tracks I produce and for the beats I am making. I know how to communicate effectively and want to make sure that you are completely satisfied with the result. Going above and beyond expectations and meeting my deadline on time is something I do with every track I make. Adi helped separate the individual instruments on an audio beat loop. He was quick, to the point, and professional. Adi is one of the best producers I had the pleasure of working with. Very recommended! Adi is a Pop genius, spreading through the diversity of music genres locally and worldwide and has a very fine and distinct sound of his own that stands out in every musical situation, specially in his works for the ‘Choke Beat Orchestra’. All of these values, among being a super cool person, made him a top musician and producer in the Israeli industry. Adi is a great musician, sensitive and unique guitar player, with an original touch as a producer . super pleasant and fun working with. With no doubt the most fun person I ever work with in the music Business !!!! After 10 minutes in the studio with him, all my concerns just like I never had them in the first place ! Much love and respect ! Choke is Top Quality Producer. 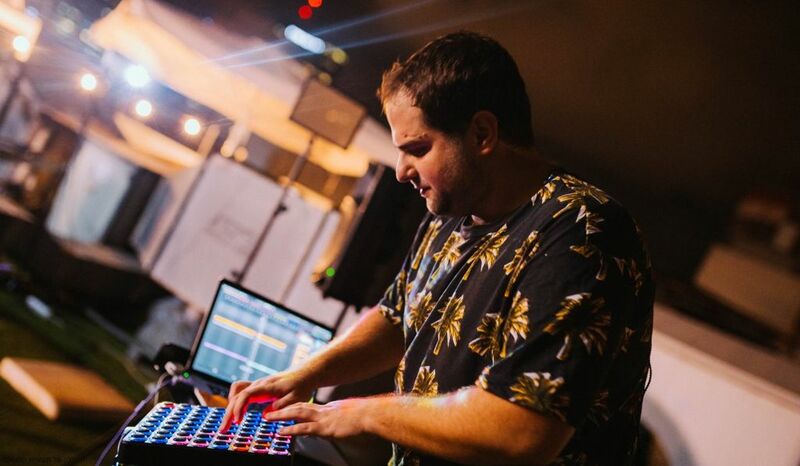 his sound signature is a result of rare combination - oriental and organic instruments - beside beat-making skillz hip hop grooves and electronica flavours. Choke is a reach & Tasty soup after all. Adi is one of the most talented producer I had the pleasure to work with! super creative, great ear for details and an awesome guy! take him for your project, you wont regret! I had to pleasure to record the very first song Adi ever recorded when we were about 14. Adi was a great (and still is) guitar player. At some point, and that's probably Adi's best attribute, he felt like something was missing, like he had to innovate. Ever since then he never kept searching for these new sounds and creative ideas. Also, he's a great guy to hang with and be around. If you are an aspiring artist you would want to be around that talent and energies Adi brings to the room. I know this guy for years. Pioneer and leading in his field. Amazing person and an even better musician. Remember the name, because he's about to explode. Adi is an amazing musician. Very talented and a great listener, Everything he touches turnes to gold. Guitar, ableton, production, mixing, vibes, this man has it all! I Highly recomend you work with him as soon as you get the chance. Simply, a brilliant musician and a kind human being. I’ve known Adi for years, and he’s always been true to these unique adjectives. That is, nurturing an ingenious approach towards his art and, never mind the bustle, staying with his feet on the ground. Adi’s not just another aspiring artist, but a real professional, and working with him would give a better result than what you’d been aiming for. Groove it up! Adi is one of the talented producers he is also committed and patient. He hears what a song needs, and its easy to work with him. Very professional, At the moment working with the successful artists in israel, Adi, you are a genius. And musical gift bro. im so thankful for what you did with my songs and so looking forward to work on my second album ! Thank you bro. I am more than impressed.Cheers. One of the most creative producers I've met. Full of inspiration and talents. Can't wait to work together again! Class A producer! Always a pleasure working with Adi his projects. Super fast when it comes to transforming an idea into reality and also such a nice guy. Can't lose! Excellent producer. Creates a new world of sound in production. You can not miss his uniqueness. Adi has worked with me on my last EP. Aside from the fact he is a wonderful guy, easy to work with, professional and a great communicator - literally, everyone who listens to the songs is going crazy cause his sound is SICK. Will definitely work with this talented beatmaker again! Adi is a pure sound genius, no matter what instrument he picks up he plays it beautifully. Adi is an amazing producer, mixer, musician and artist. a real professional, and also a super humble and nice guy to work with. highly recommended! The first thing you find in adi is great hart and kindness. The second is the fact that he is one of the most talented musicians I have ever worked with. No doubt, he’s got the whole package. adi rotem is a crazy talnented musican and a producer. i have the honor to learn about his creativity mind and his way of thinking when i opening the israeli radio and hear the music the he produced or involved. definitely the most young and promising producer in israel today. A: I'm finishing four amazing albums here in Israel and also writing the 3rd album for my own group - "Choke". A: Ohad Nissim, he is an amazing mastering engineer I work with. A: Analog synths and pre-amps with a digital workstation. A: To give 100% of myself. A: I'm surrounded with great music and great people. A: Some people think that making music always involves a musician with a guitar. That's not true anymore. A: What music do you like? Where are you aiming at? A: Listen to my music, and let it speak for itself. A: I've been a performing guitarist for a long time. In the past decade, I started producing for a living. The past two years have been the best of my career. I started working with some of the biggest artists in Israel. A: Raw, but clean and produced. When Lo-Fi meets Hi-Fi. A: Kendrick Lamar, because he is an amazing artist that brought a fresh sound into the genre. A: My beat making skill is my most powerful skill. A: My agenda is built out of two main ideas: 1. The song has to be interesting and original. 2. The vocals should be treated with love and thought. A: I'm usually having a long conversation with the client. We share reference tracks with each other and talk about the song's vision. After that I do some work by my self, trying stuff and picking stuff out and that I bring the client back into the picture to do some adjustments. A: I work in two different studios in Tel-Aviv. One for recording and one for beat making, mixing and editing. Both are fully loaded with great synths and studio equipment. A: The most common type of work I do is beat making and production. Turnaround for a mix is usually 3-6 days and for a recording session usually 1-3 days. I will do as many revisions as necessary to make sure you are 100% happy with the outcome!